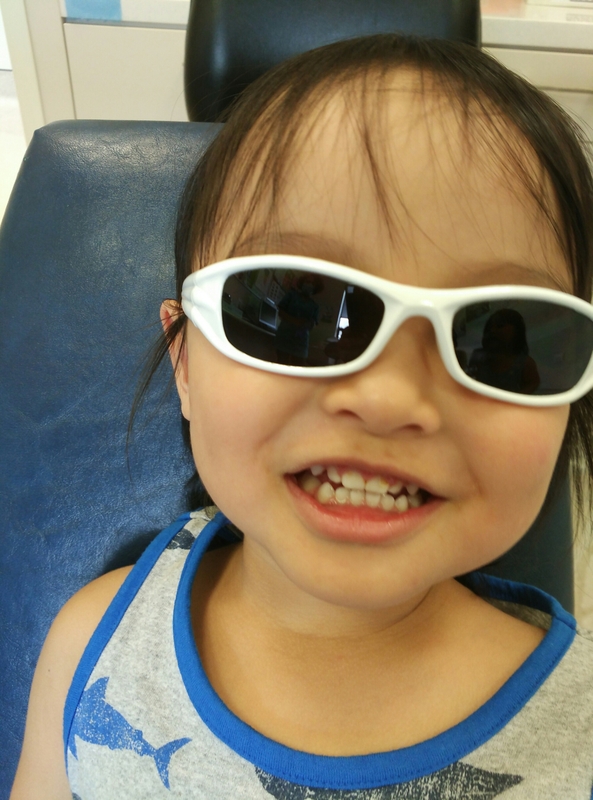 We went to fill in a chip on Gabe’s right front tooth. I thought he has cavities and felt like the worse mother in the world. But the dentist assured me it was just a chip. His first trip to the dentist was last year in November and it was uneventful affair. He thought it would be the same this time round. Boy, did he get a shock. 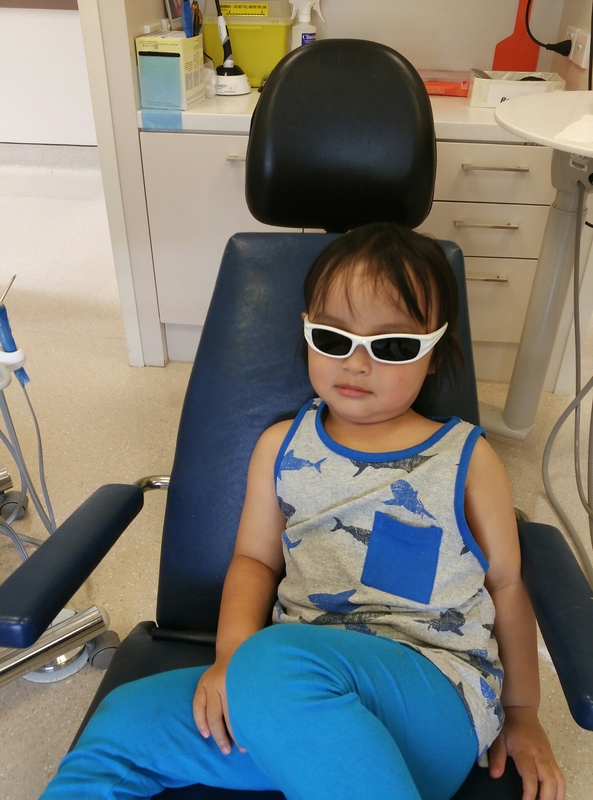 He was all smiley and greeting anyone he saw and jaunty sat on the dentist chair. All that positivity soon ended when she started scraping out gunk from the tooth to clean it before she filled it in. He cried and screamed. Twisted his body left and right trying to get free. I would have taken a photo of the process if I didn’t have to be with him holding him down. He made such a fuss I think all the nurses came over to see if he was having all his tooth extracted. After 10 very long minutes the dentist was done and Gabe clung to me for some emotional support. A minute later he was all smiles and even had a Sponge Bob sticker to show for it. I apologize to the dentist but she said he was very good. I’m like… 🙄 sure he was. hahahah love your storiies babe!! The kids have definitely made my life more interesting!